Since 2005 Elevate has been offering the latest in reliable custom made ICT solutions. Elevate offers a total IT experience and also separated products and services: trustworthy servers, custom made soft- and hardware packages (HP partner), developing applications, network maintenance (Cisco/Juniper), system management, migrations, exchange facilities, market connections (NYSE Euronext/Eurex/Xetra), security, consultancy and secondment. 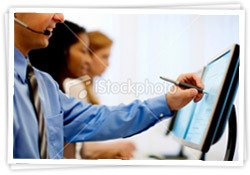 Besides the custom made systems and software Elevate provides backoffice support. We can also manage your servers in data centers around the world remotely.